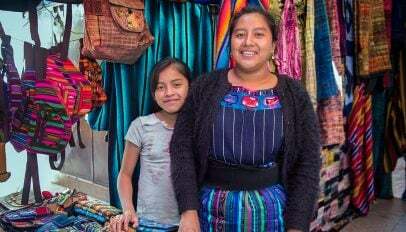 Stable economic growth over the last several years has helped reduce poverty in Nicaragua, though it remains one of the poorest countries in the region. Basic services — including sanitation, drinking water, commerce and banking services — are lacking, especially outside of major towns. Founded in 1992, FINCA Nicaragua is one of the network's oldest subsidiaries. Today it is a fully-licensed bank that will soon start offering savings in addition to its range of credit, money transfer and insurance services. 16,290 Total FINCA clients This number will increase with the launch of savings services for non-borrowing customers. Nicaragua has one of the highest rates of financial exclusion in the world; nearly 3 out of adults lack a basic bank account. Given the overall scarcity of financial services throughout the country, it is not surprising that FINCA's outreach is mainly concentrated in urban areas. FINCA Nicaragua is a prime example of FINCA's outreach to women, which is a hallmark of this region. Women make up 3 out of 4 borrowers, most of whom are the main source of income in their families. 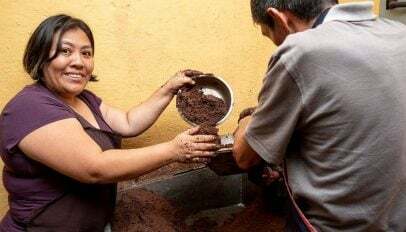 Like its neighbor, Honduras, FINCA Nicaragua also has a very high concentration of single mothers (see Women's Empowerment below), who comprise almost a quarter of all customers. Full financial inclusion requires that people have the ability to both borrow and save money, as their needs dictate. FINCA Nicaragua will soon take an important step towards this goal, with the launch of savings services. The basic living standards of our clients in Nicaragua are similar those found in neighboring countries, except in a few respects. Our Nicaraguan borrowers have an uncommonly high rate of home ownership (97 percent), which is the most outside of Eurasia. Also, access to electricity is also much more common, reflecting the urban nature of our current client base. The lack of clean water, however, is a problem for 16 percent of borrowers, which is close to the regional average. Unfortunately, educational achievement is low among family breadwinners. Over half of them have a primary education or less. The situation is a little bit better in Nicaragua than in the region overall, reflecting sustained national efforts to raise educational levels. But it still leaves nearly half of our clients with very limited means to earn an income and to make lasting improvements in their family's quality of life. 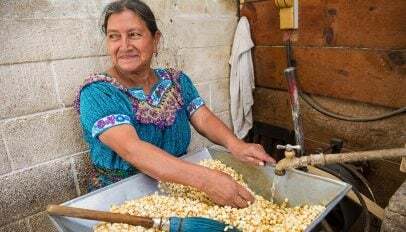 FINCA Nicaragua will complete its Enterprise Survey in 2017, allowing for a full report on Women's Empowerment indicators, along with Income/Employment and Personal Aspirations. FINCA Nicaragua's outreach to women is an impressive 67 percent. As is common in the region, these women are usually the primary breadwinners in their households. Households in Nicaragua also present a high incidence of single motherhood, together with the economic vulnerability it conveys. This places enormous responsibilities on the shoulders of our clients and makes their path out of poverty more challenging.